This report presents the findings of the housing characteristics in 2017 CNMI Labor Force Survey (LFS). Even though the survey was called the 2017 CNMI Labor Force Survey, the survey questionnaire included both housing and population questions . The questionnaire included 30 main questions on housing with sub-items under some of them. 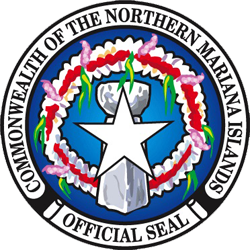 In this report, the finding on each of these characteristics (variables) is shown for the whole CNMI (CNMI total), by island, and by district. Organizationally, each characteristic is titled and identified by number to promote independence and ease of reference. The housing characteristics and identifications are in the table below. Note that related items are indicated by decimals; for example, water heater energy source, numbered 9.2 is related to hot and cold water numbered 9.1. Each housing characteristic findings are presented in the same table and chart formats for consistency and ease: each table shows the estimated proportion or percentage, both percent within (column) and percent by (row), and the estimated population numbers. The proportions or percentage are also shown in 100% Stacked Column chart to facilitate comparisons. The discussion of the findings focuses on the percentages–and on medians and means when appropriate. While the estimated population numbers are not included in the text discussions, and not shown in charts, they are contained in the appropriate table. While findings are separate and specific to each of the housing characteristics, one important underlying fact is evident across all characteristics: there is a strong correlation between Saipan estimated statistics and those of the CNMI total (CNMI as whole). This is because the total occupied housing units in Saipan comprised 90% of all housing units in the whole CNMI, hence, Saipan’s share influences greatly the estimates for the CNMI total. In the discussion of each housing characteristic findings, this underlying fact is not repeated, but it is evident in percent within (column) in the tables and charts. The fact that Saipan’s share of total occupied housing units was 90% is shown in the percent by (row) in each of the tables. Labor Force Participantion Measures: CNMI, 2017 4th Qtr.